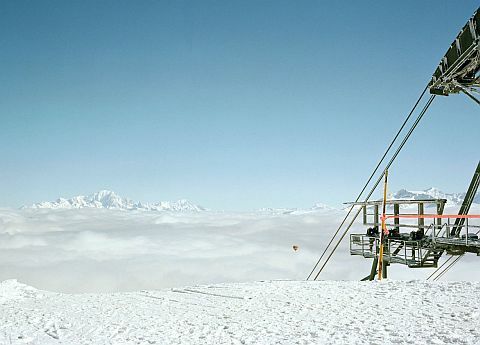 White is generally how we think of winter, whether it snows or not (increasingly not in London). It’s a colour that provides a sense of calm and order and it’s beautifully versatile. Scandi interiors, for instance, use it a lot, alongside natural woods and neutral shades for a stylish, laid back look. 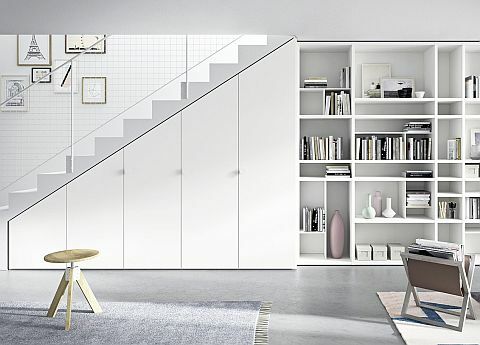 That’s why we love white; it’s perfect for that minimalist, contemporary look. We’ve chosen, therefore, a few pieces that are all about the winter season. Look out for acid-etched white glass, cosy bio-ethanol fires, glamorous over-sized mirrors and white light. Bonaldo’s award-winning Octa extending dining table (below) for example is a magnificent piece of white design by Bartoli Design. Featuring an acid-treated white glass tabletop, above all it’s a great piece of design. In addition, the steel legs, like the game ‘pick up sticks’ look incredibly light but, of course, are very stable. Here they’re lacquered in white but a wide choice of colours includes anthracite, bordeaux, chromed or black nickel. Similarly, the stylist has used Bonaldo’s My Time dining chairs in a white Skay ecoleather, a high quality faux leather. It ticks all our winter wonderland boxes: white furniture, pale greys and those magnificent over-sized white lampshades. Winter, however, also means colder, darker days and finally turning the heating on. Real fires can’t be beaten but we think our bioethanol fires come pretty close to the real thing. And there’s no need for all that hard work of buying/collecting firewood and cleaning up. Why? Because they spring to life at the touch of a button. 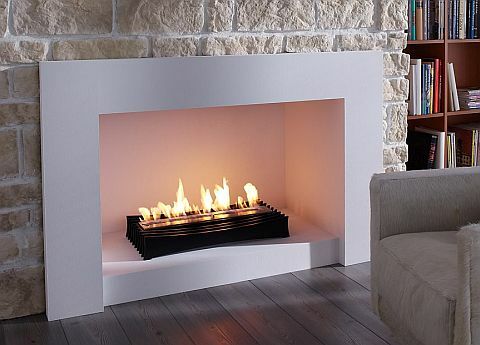 The big plus too is that bioethanol fires are very eco-friendly. Ours use high grade liquid bioethanol, a green fuel, which doesn’t generate any harmful gases, sparks or soot. They’re simple to install: no need for a chimney, flue or gas supply and they have a superb heat output. The long burning times, up to eight hours, will keep you toasty all evening. It’s important to choose wisely with bioethanol fires. That’s why we sell a wide range of designs from two excellent European companies, Decoflame and Cocoon. And as the temperatures tumble we use them in our Kings Road showroom. We put one in the window, suspended from a pole, and another down in the office that keeps us nice and cosy. An example of a really versatile and popular fire is the Ascot Lux bioethanol fire (above). It’s fully portable, freestanding and designed to sit in an existing fireplace. Choose from three sizes and three different burners, which therefore means you can adjust the amount of heat. The burn time for this one is around six hours. The Ascot design also includes toughened glass screens to shield the front or back of the fire. White also means glamour. There’s nothing like white furniture for adding a touch of luxury. 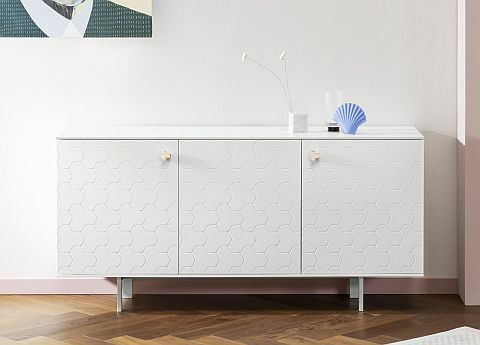 That’s why the Minforms Soko sideboard (above) is, in our books, wonderfully stylish and glamorous. This is the white lacquered version but you can choose Veronese green, Intense blue, or Masala red. To add to the glamour, the Soko doors feature laser cut patterns and bright copper handles. Internal shelves are lacquered wood or glass. Optional extras include an internal air filter and even an integrated vase. Bring in the light over winter. Over-size mirrors are used by interior designers as a great way of introducing extra light into dark winter rooms. The new City Life mirror from Tonelli Design, the Italian glass specialists, works beautifully for this. Designed by Francesca Arrighi it’s made in two sizes: 120cm or 180cm in diameter. It’s a fantastic statement piece, but its scale is hard to comprehend from the image alone. Check out the corner left of the image. Part of an armchair is just visible and you can truly appreciate how large this mirror is. 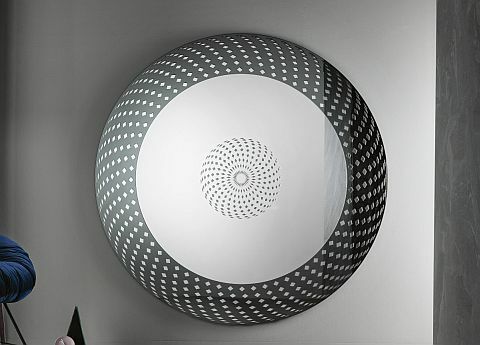 The edge and the centre of the mirror also have beautifully intricate geometrical patterns. These are small rhombus crowns created using a sophisticated water-cutting process. We’ve shown the smoked version here but it’s also available in very striking bronze and gold. Winter often means spending more time indoors. Which in turn increases the feeling of needing more space and wanting to improve on storage. Which is why the Sotto design (above) is our idea of how to create more space and keep it stylish. The example here is finished in white and styled with a pale grey floor to create a sense of order. It’s a design that’s perfect for awkward spaces with doors tailored to fit sloping eaves or under-stairs space. Our installers built something similar in the Go Modern office (great for paperwork) and it looks very smart! It’s also not just a wardrobe. To the side of the design are a series of built-in shelves; varying shapes, heights and sizes. In short, it’s all incredibly practical, with lots of internal accessories and very easy to keep organised. The Sotto collection can be installed as a built-in design or made totally free standing. Our team of designers will measure the space and our installers will fit everything perfectly. The finish is a high quality melamine with lots of colour samples in our showroom and on the website. Contardi is a brand we have long admired; their lighting ranges are very impressive. The company can supply schemes for whole rooms through to small accessories. They have some great designs for the garden too and are guaranteed to lift the winter gloom. 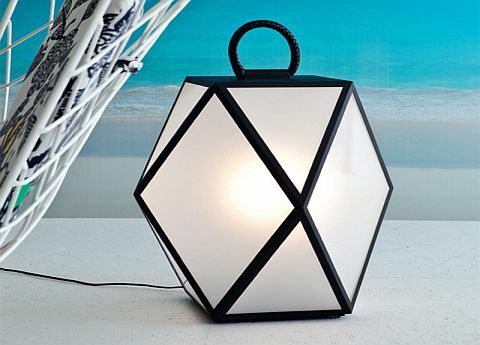 This is their pretty Muse outdoor lamp which looks fabulous anywhere. Designed by Tristan Auer it has versions in white pearl or matt black. Both have a satin acrylic or bronze shades in a smoked plexi-glass. A plaited leather, waterproof handle, makes it easy to move around. So, in conclusion, create your own winter wonderland this year. Choose stylish designs that will add a little glamour and carry you through the dark days of winter and beyond. We’ve also currently got our winter sale… 15% off all purchases over £1,000. Use the coupon code WINTER.